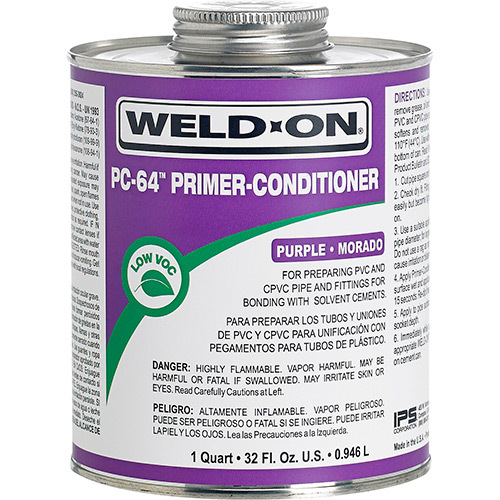 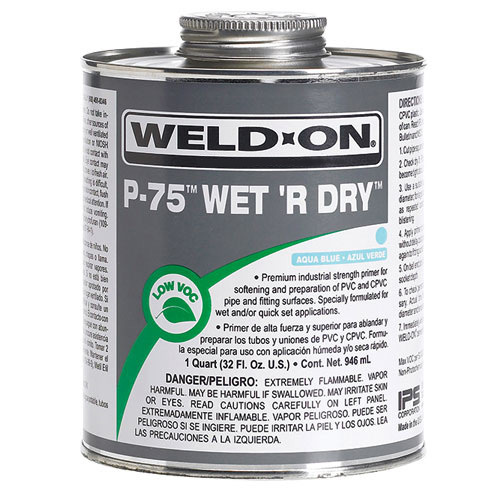 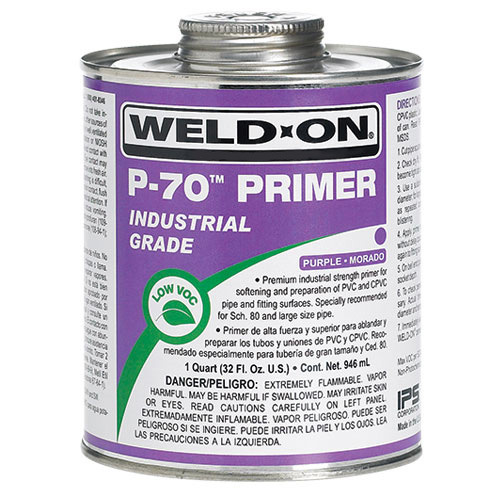 Weld-On® offers the most extensive line of Primers and Cleaners for the piping industry. 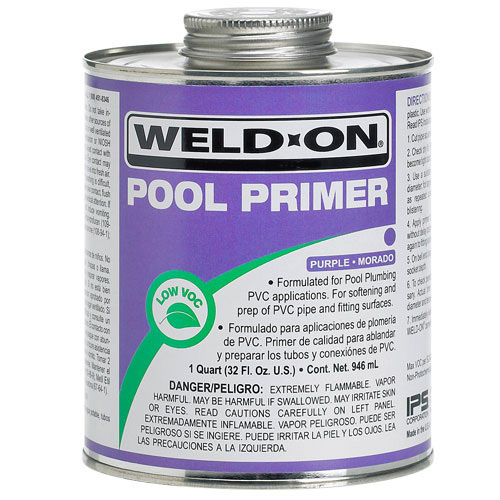 These products are used for the surface preparation of plastic pipe and fittings, which is necessary for the proper solvent welding of these materials. 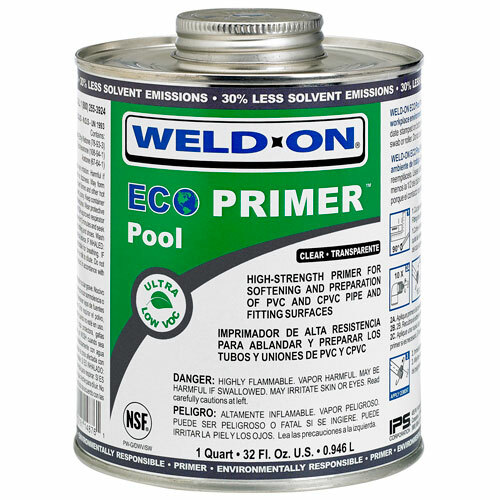 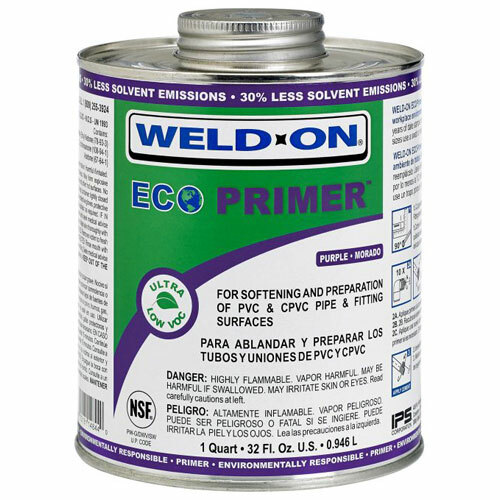 All Weld-On Primers and Cleaners are low VOC products, which are environmentally friendly with lower emissions and reduced odor, surpassing the most stringent regulations. 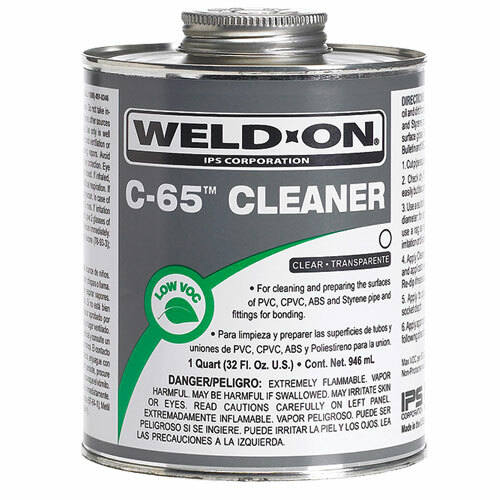 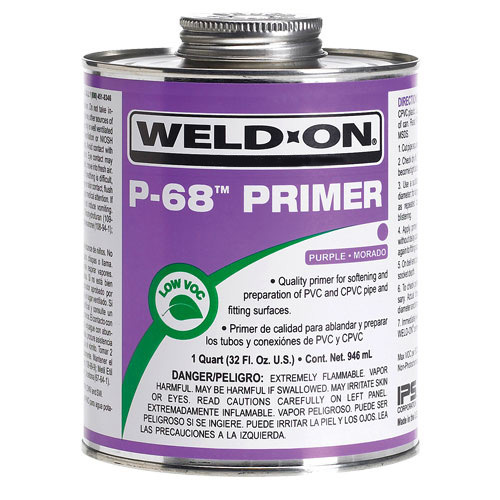 * All Weld-On Primers and Cleaners are formulated for use on PVC and CPVC pipe and fittings, and our C-65 Cleaner can also be used on ABS and styrene piping applications.